Moe Wagner will not take the floor this preseason. 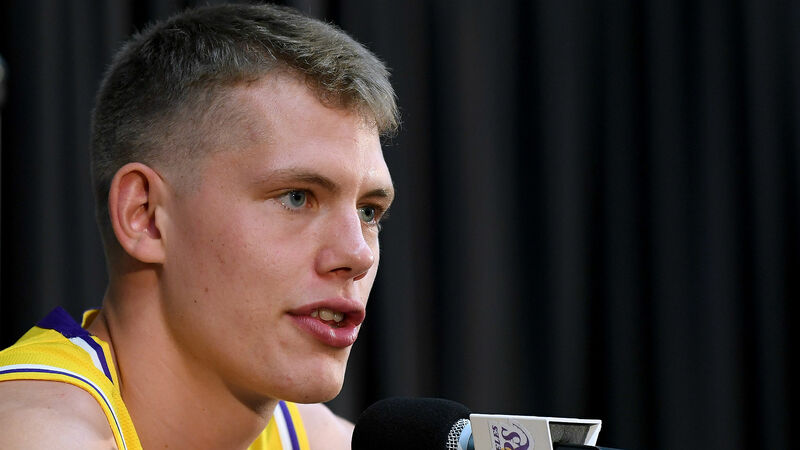 The 21-year-old rookie big man has been sidelined with a bone contusion he suffered in his left knee during the NBA Summer League, the team announced Saturday. He will miss the entire preseason and then be re-evaluated. Los Angeles selected Wagner out of Michigan with the 25th pick in the 2018 draft. He averaged 14.6 points and knocked down 39.4 percent of his 3-pointers for the Wolverines in 2017-18. Wagner is expected to see time at center for the revamped Lakers this season. The Lakers have been using second-year player Kyle Kuzma at the five in a small-ball lineup during their first few practices of the year, according to an earlier report from ESPN.